Hamilton's asymmetric watches are among the very most popular models for virtually all Hamilton collectors. Many of them are Electric models but quite a few are mechanical. For example, there's the Thor, the Khyber, the Sea Ranger and quite a few others. 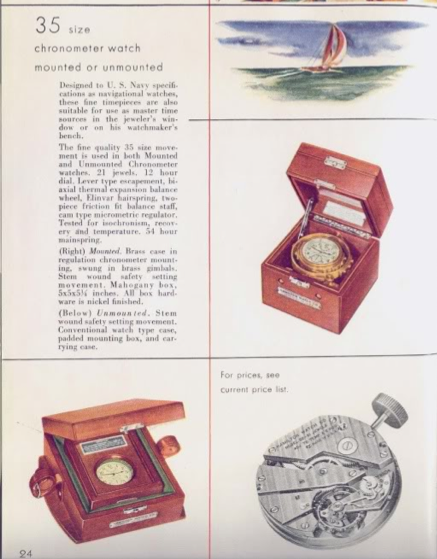 Asymmetrics will sometimes feature unique dials, in addition to the odd case shape. 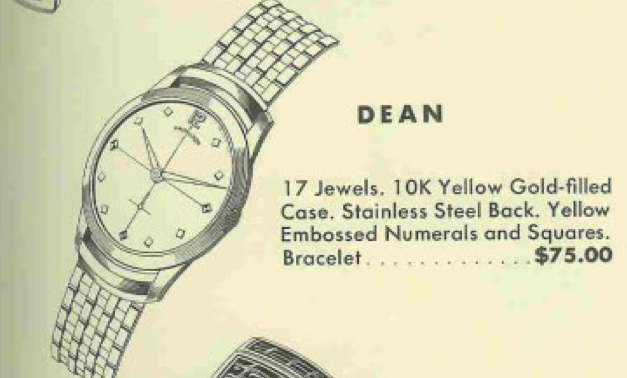 Take, for example, the 1961 Attaché. It was produced for only two years. 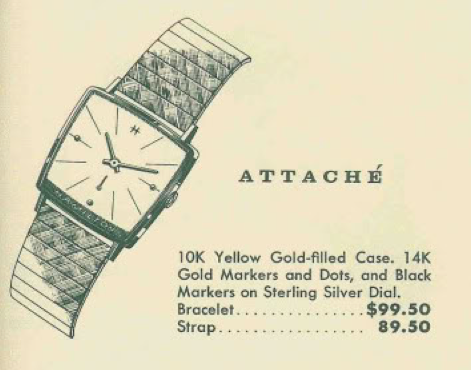 The Attaché came in a 10K gold filled case with a solid gold H marker and dots on a sterling silver dial. Under the dial you will find Hamilton's top-of-the-line movement, the 12/0 size 22 jewel 770 movement. I recently received an Attaché in need of some TLC and it came with it's original bracelet! The gold filled case is very solid feeling. Hamilton's higher end watches tended to have non-stainless steel back. The dial is in very nice shape and Hamilton is printed in white on a dark band at the bottom of the television-shaped dial. Based on the numbers on the back, you can assume this dial was refinished at some point in it's life - but they did a very nice job. The 770 movement is very compact and extremely well-made. This is usually regarded as the best movement Hamilton ever made and it was made right up until the end of US production in 1969. Once disassembled, cleaned and oiled, the newly overhauled movement goes onto the timer. Timing looks great with vigorous amplitude. The beat error is on the higher end of acceptable. And here's the reassembled watch, back on it's original bracelet. 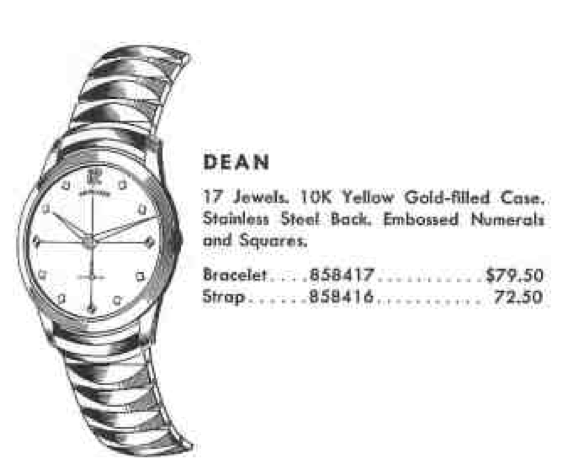 It's an interesting watch and the unique shape differentiates it from other TV-shaped watches from the period.